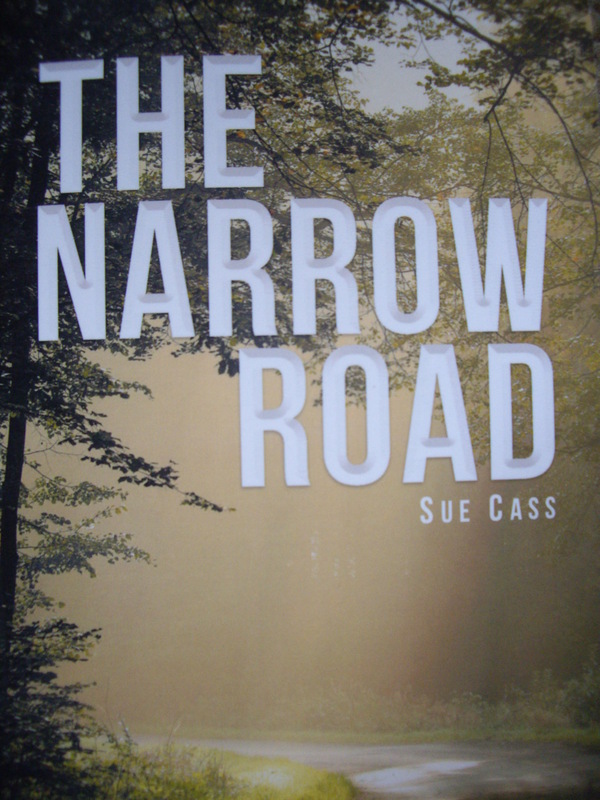 The Narrow Road is a must read story based on actual events. This is a gripping, passionate, and intense story of a young boy abandoned by his parents – resulting in tremendous heartache. “Brian’s” story is a story of painful trials, many questions and self-doubts. As Brian matures into a man and lives life on his own, he faces many setbacks and challenges – while at the same time meeting supportive and caring people who support and guide him through a sometimes-painful journey. This is a story of love, of meeting a loving God and trusting in Jesus to bring healing and hope. The Narrow Road is a well-written book that will make you laugh, possibly shed a tear, and it will make you think – as well as rejoice. Regardless of our situation in life, there is always hope; when that hope is placed in Jesus Christ. In the second half of this book, Sue’s story is a story of courage, of not giving up when the going gets rough as a newly minted Christian after accepting Jesus and being a brand new Christian with many questions is not only a great story, but also a guide for the rest of us. Whether one is a new Christian, or someone who has known Jesus for some time – Sue’s story and insights are a great help and a comfort. I highly recommend this book; Sue Cass has outdone herself yet again. I read this book in one day. If you are looking for encouragement, a great story, a “God” story – or maybe a true story of love that includes Jesus Christ – you will find it all in this story. If I died today, would I go to heaven? What qualifies me to enter heaven? These are two important questions to ask both Christians and non-believers. No one wants to think they will spend eternity in hell and many just assume they will go to heaven. Not all will! The answer can determine our destination. Not all humans are going to be spending eternity with the Lord Jesus Christ in heaven. 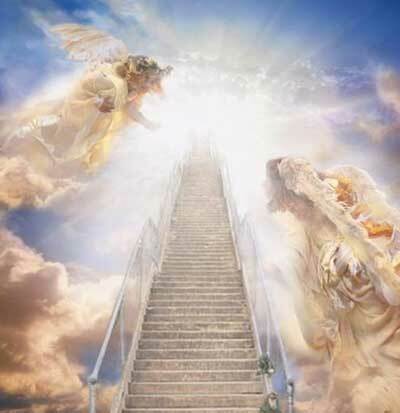 When He comes with the blowing of the trumpet there will be many that are left behind as the true followers of Jesus Christ meet Him in the clouds. We hear little, if anything, about what life will be like when the believers are gone. 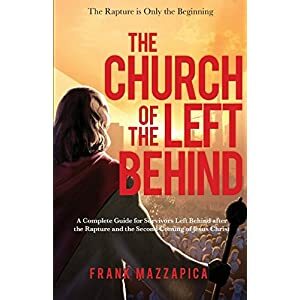 Using scripture, the author gives a very clear and thorough picture of the aftermath of the apocalypse, specifically the mortal’s life on earth after the great tribulation and the second coming of Jesus Christ. These are the men and women who have missed the rapture of the church and will live during the thousand-year millennial reign of Jesus. I recommend that pastors, as well as believers and -especially non-believers- read this. It could change your final destiny. Getting up early and watching a couple of my favorite T.V. preachers while waking up and eating a bowl of my favorite cereal I start my usual Sunday morning routine. Yawning a final yawn I throw off the nightie and don some clothes for church. It’s hot outside already so a comfortable sundress will do. Don’t forget to take a sweater, the church is always cold is my thought as I grab my Bible and head out the door. The praise songs are rocking and the worship songs bring tears to my eyes. Pastor has given another sermon that is uplifting and filled with Biblical information that I can chew on in more depth when I get home. We Christians, as soon as the service is over, there’s a stampede out the double doors for the nearest fast food place or a local restaurant. Like bees to honey we fast track out of the parking lot and let nothing get in our way. Our focus has shifted from the eternal to the present growling within the confines of our stomach. Gluttony is non-existent, at least until we hold our full stomach and groan. After a good meal some go home and take naps, some turn on a ball game, and some just sit out on their deck with the overhead fan whipping the hot air around and watching other creations of God enjoying the Sabbath. Like me! God said we should rest and reflect on Him on the Sabbath. 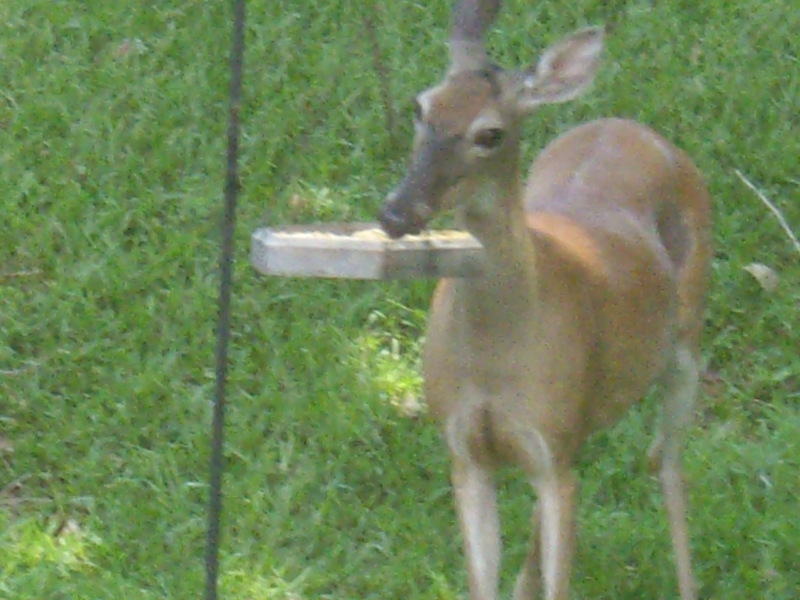 Sitting on my deck I realize as my furry friends show up for their daily dinner of corn kernels that God must not have been talking about just humans when He said it is a day of rest. 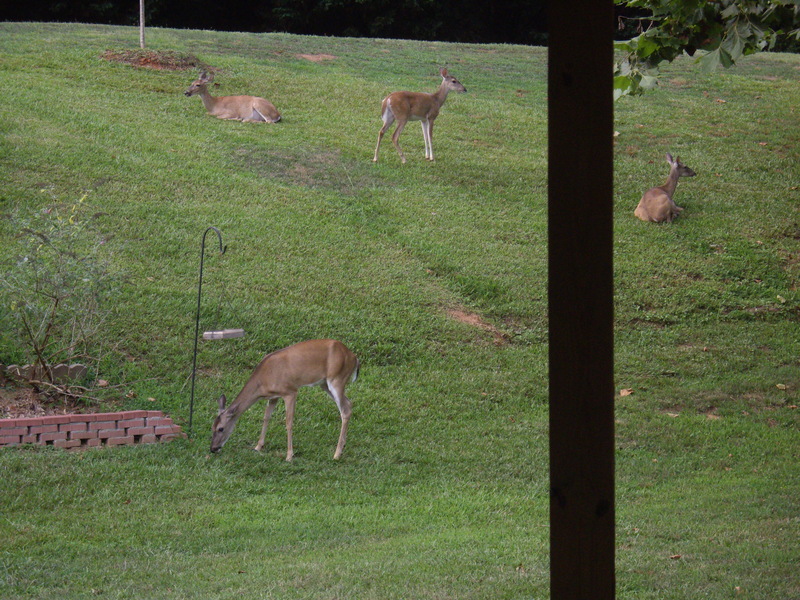 I’m sure “Daisy Mae,” “Bonnie,” and the others have had a busy week dodging traffic, staying clear of snakes and out-of-season hunters, foraging for food, and just staying clear of the general population of humans. Like Christians after church rushing to beat the crowd at the local eatery, my furry friends seem to enjoy Sue’s place. It’s peaceful, the food is good, she’s non-threatening, and unless the neighbor let’s his dogs out, they seem quite comfortable enjoying their Sabbath. and time to head home and get ready for the hustle and bustle of a new week. 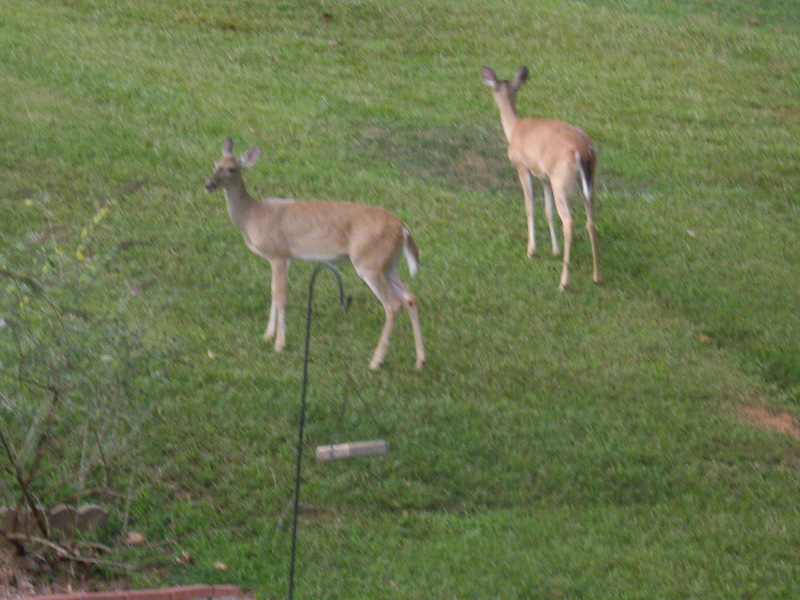 Maybe they aren’t that much different from us, or……………..wow………… maybe these are Christian deer! Picture it – in the early 1800’s a family consisting of a husband, a wife, 6 kids, and a small farm house with a chicken coop out behind the house and ricketty old barn off to the side. The Mr. is out plowing a field with their one sway-back horse plodding along trying his best to pull the small plow hitched to him. The hot sun is beating down on the farmers weathered old hat and dirty shirt. Sweat pours down his spine and covers his face. With an old dirty rag he swipes it across his brow and takes a long swallow of the luke warm water from the mason jar his wife filled. The Mrs. is sweating over the black wood stove while stirring the vegetables around and around in the big cast iron pot. The pile of chopped chicken parts are set aside to add at just the right time. Glancing out the open door she sees the kids playing in the dirt with the weeds stomped down flat around the old swing with it’s splintered seat, that hangs from the one and only big old Oak tree. She can hear their giggles, and smiles. Sunday morning comes and dressed in their best the family loads into the flat-bed wagon hitched behind their one and only horse and they head for the church down the road a piece. It will take a couple of hours to get there so they’ve left before the sun is fully up. Greetings are made to neighbors, that live five and ten miles away. Hands are shaken and the Mrs. hands a small gift of a hand crochetted baby hat to the young Mrs who’s pregnant with her first child. There will be no bake sale after church today. The summer’s heat would melt the cake icing. The church steeple stands boldly and proud on the front of the roof of the little log church. The bell suddenly rings out announcing church is ready to begin and all enter and take their seats on the long wooden pews. A short sermon is given and prayers are lifted for the health of those who are sick and thanking God for His provisions and that old Elmer’s cow didn’t die after all. The pastor asks that the tithe be taken explaining this is the way we honor the Lord. Can this old country pastor, who rides 35 miles to preach a 20 minute sermon be correct? Yes, the Lord commanded a tenth and we’re suppose to give it to further the kingdom and spread the gospel but are we honoring God by doing so? Nahhh, that can’t be right. God doesn’t need our money. Maybe we do it because we might get suddenly rich, or because we don’t want to look like cheap skates when the offering plate is set before us, or maybe we only give a little because the bills are due. 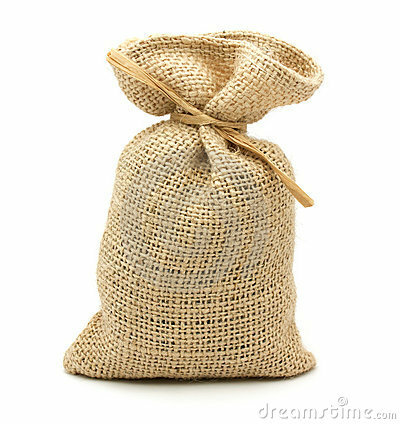 The Mr. has a small burlap bag in the back of his wagon. After the offering plate has been passed with him handing it off with nothing to put in it, and the church service is dismissed, he steps outside and motions the pastor to his wagon. With a smile that will lite up a room he proudly reaches in and retrieves the wiggling burlap sack. “Pastor, this is all I have to offer the Lord today,” he states while handing the sack with one chicken inside to the pastor. The pastor thanks him profusely and takes the sack inside. The wife beams up at her husband with pride and says, “let’s head home,” and the family piles into the wagon and with a song in their heart makes their way across the dry arid land. Was God honored with one chicken or was the tithes dropped in the offering plate more honorable? You be the judge. Spectator set-up. Increasingly, the church has constructed the worship service as a spectator event. Everyone expects the people on stage to perform while the pew-sitters fulfill the expectation of any good audience–file in, be still, be quiet, don’t question, don’t contribute (except to the offering plate), and watch the spotlighted musicians deliver their well-rehearsed concerts. Professionalism. It seems it’s paramount for church music to be more professional than participatory. The people in the pews know they pale in comparison to the loud voices at the microphones. Quality is worshipped. So the worshippers balk at defiling the quality with their crude crooning. It’s better to just fake it with a little lip syncing. Blare. The musicians’ volume is cranked up so high that congregants can’t hear their own voices, or the voices of those around them, even if they would sing. So they don’t sing. What would it add? The overwhelming, amplified sound blares from big speakers, obliterating any chance for the sound of robust congregational singing. Music choice. Sometimes people refrain from singing because the songs are unfamiliar, hard to sing, or just cheesy. Sometimes worship leaders choose a song that may thematically tie into the day’s sermon topic, but it’s unsingable. Sometimes worship leaders choose lame songs written by their favorite songwriters–themselves. I admit. I’ve joined the majority. I’ve stopped singing. I’m not happy about it. 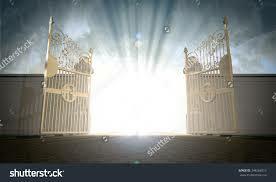 I know I should overcome these barriers and just praise the Lord with my very unprofessional vocalizations. But I long for an environment that evokes my real heartfelt vocal participation.